SYMC Blog Entry #3: This one’ll be tough. Here’s a thought: It’s impossible to whisper a prayer to yourself. I knew/suspected that today would be a great day because of my very first agenda item. I made plans with a former professor of mine and long-time friend Dr. Len Kageler to meet for breakfast. And because it was with Len, I didn’t even mind paying the exorbitantly outrageous price for the swanky breakfast buffet that awaited us. The food was unending, the coffee flowed freely, and the conversation and rekindling of our friendship was a sweet gift from God to start my day off. And since it was a buffet, I obviously ate way too much. On purpose. After saying goodbye to Len, I caught the last half of a workshop by Jon Acuff (someone I mentioned in yesterday’s blog post) called “Creativity With Purpose: 3 Essential Steps of Successful Ideas”. Now, you might know that I have a pretty constant flow of ideas. But as a writer, creator, and developer, I’ve always had an underlying ache to do better with the thoughts that cross my mind. It’s pretty often that I’ll be somewhere–anywhere; from the shower to the bread aisle at Walmart when a thought hits me that I know I should capture. But before I do, its fallen victim to my steel trap memory…the one that’s apparently rusted open. 1. Make war against distractions. Okay, confession time. This conference has gotten me pretty tweetified. Even more than I was before, which was a lot. The nature of the surroundings here definitely lend themselves to tweeting. There’s constantly freebies and contests being announced at all hours via Twitter, there are connections to make, things learned that you want to share, and even tweets being scrolled on the big screen in the main session area before each worship service. During that half hour or so, tweeting anything and including the hashtag “#symc” resulted in it being displayed on HUGE screens onstage. And c’mon–how cool is that?!? Anyway, I’m definitely one that has pretty much worn through my left jeans pocket lining from all the sliding in and out of there that my phone does. Between Twitter, text messaging, and yes, even email, I’m pretty well hooked on an ongoing distraction that’s always readily available. But maybe your phone is not your focused attention’s nemesis. Maybe its something else. I know I have other distractions, but no matter what they are, I’ve GOT to wage war on them if I have any hope of my brain being able to settle in on one task. 2. Create a place to execute. This one got my blood pumping. I like places. I like things. I like places for things. I remember taking a tour of a friend’s workplace where welding and fabrication took place, and I remember seeing the tools each worker used put in its place with a painted outline of the shape of each tool shadowing it; showing what tool went where and clearly showing when a tool was NOT in its place. Just like that I’ve got to designate a few different places that are dedicated to executing a plan/project/purpose. For Acuff, one place was the local library. Being an author and making a living at writing, he has trained his brain to know when his body was in its proper place for getting some writing done. I’m interested to delve into this because right now, I don’t have much of a clue as to where that place would be for me. 4. Create fake deadlines. Acuff made a good observation. When you’re going to go away on vacation, it typically happens that your last day or two in the office or at work are among your most productive. You want to tie up loose ends, you want to cover all bases during your absence, and you want to leave your workplace tidy so that you don’t return to a mess. You fire on all cylinders to make sure you knock out those to-do’s before you head out on vacation. The principle here is that we benefit when we create for ourselves a bit of pressure. I noticed that this very blog site sets goals for me. For example, when I published my 300th post, it congratulated me and set my next goal for 305. When I reached that, it set the goal at 310. Along that same concept, I could also set dates for things to be accomplished by. Had a done that a year ago, the book I am now completing would have likely been done 6 months ago. 6. Focus on the right beach. He kind of lost me here, so I won’t try and not lose you. You probably already are. Oh well. After the workshop, I met up with a former intern of mine, Chris Coakley. Chris was my intern for 2 1/2 of my 7 years at Simpson Memorial Church in Nyack, NY. He’s now a full-time youth pastor in York, PA and founder/president of an amazing relief organization called Grain of Hope, which is providing food, water, and mercy to the impoverished. Am I proud of him? You know it. While Chris and I waited in line for our lunch, I bumped into Andy Blanks and Les Bradford, two guys I really admire from Youthministry360. YM360 is doing incredible things to resource and encourage youth leaders everywhere with practical help, useful tools, and straight-shot support from those who are doing it. It was great to reconnect with these guys and Andy again invited me to be a contributor to their substantial arsenal of resources. Pretty sweet. After lunch with Chris, where we solved every ministry problem ever, I went to another seminar that I knew I’d have to cut out of early. It was called “As For Me and My (Crazy) House: Defending Your Heart, Marriage, and Family Against the Demands of Ministry”. Quite a title, eh? But I’d be dishonest if I told you I didn’t need to hear someone speak reminders to me and throw me a line when it comes to making sure my wife and kids get my best and not whatever is leftover after ministry has had its fill (which never happens). I enjoyed what I heard and was sad to leave early, so I went straightaway to the SYM bookstore and bought the book of the same title. Really excited about diving into it. The reason I had to leave early from that seminar was because I had planned to get together with Andy Brazelton, one of Group Publishing’s main dudes. Andy and I had never met in person before today. Our interactions have been confined to a tweet or two, flung back and forth across the cyberspace between VA and CO where he and his family live. I’ve written so much and have such a desire to do something more with it than I currently know to do, I’d have been a fool to miss a chance to chat with Andy. And man, as it turned out I’m so very glad I did. I sat down with Andy and my suspicion is he’s just such an incredibly nice guy that he probably treats every man, woman, and puppy this way, but I immediately felt like I was sitting down with a longtime friend. He was genuinely interested in me, my background, my interests, and the stuff of my life; let alone anything I’ve written or any possible collaborative between us. Man, what a refreshing spirit he had and I was so impressed by him. We also sat and talked about the things that our student ministry has produced over the years; resources that are all but set to go into the hands of those who could potentially use them. I was excited by what we discussed and when we got up from those chairs, I’d dare say we were mutually encouraged. Before I go on, I need to say that while I was sitting with Andy, the Skit Guys came by. Knowing Andy and working with Andy as they do, they chatted briefly. *Warning: I’m about to temporarily go “giddy school girl” and it’s not going to be pretty. I have to admit that meeting the Skit Guys was a huge thrill, especially when Eddie told me we had met before, at Saddleback Church at a PDYM conference in CA and that he remembered me. I don’t care if he was lying, I wanted to believe him too much not to. Then Andy mentioned my co-youth pastor Steve Harper and asked if Eddie remembered Steve. He thought and said, “No, I don’t think so.” Now, I’m not telling this to be mean; I’m telling it to set up the great thing that happened next. So, I said to Eddie (with Tommy–the other 1/2 of The Skit Guys standing nearby), “So can I tell Steve that you remembered me and not him?” And Tommy Woodard laughed at me. He actually laughed at something I said. If you know Tommy Woodard, you know that’s pretty cool. 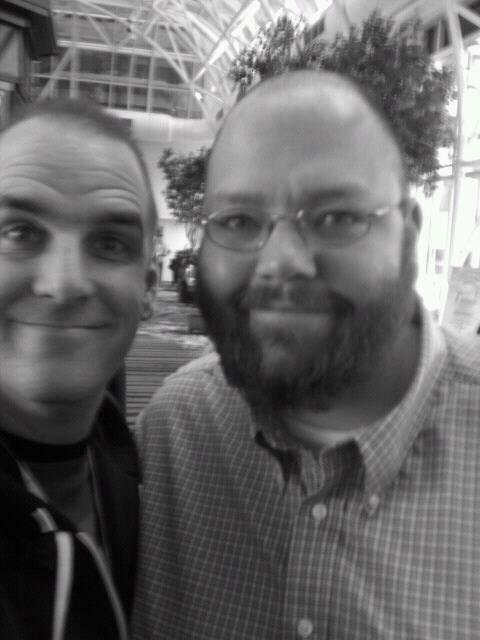 So, Andy and I talked about life, family, ministry, work, and our passions. It was really a fantastic conversation with someone I can now call “friend”. After dinner at The Hard Rock Cafe’, we headed into the evening worship service. Jamie Grace was there to share her testimony and sang her crazyily-popular song “I Love the Way You Hold Me”. So cool. 1. I was not born to be a youth pastor. This one seemed off at first, because I’ve always thought being a youth pastor is what God wants me to do. It’s who I am. It’s what I’m about. But that’s wrong. I wasn’t born to be a youth pastor. I was born to be a child of God. Being a youth pastor is simply my expression of worship based on the gifts God has given me. I am not identified by what I do (pastoring students), but rather who I am (child of God). Whew. 3. 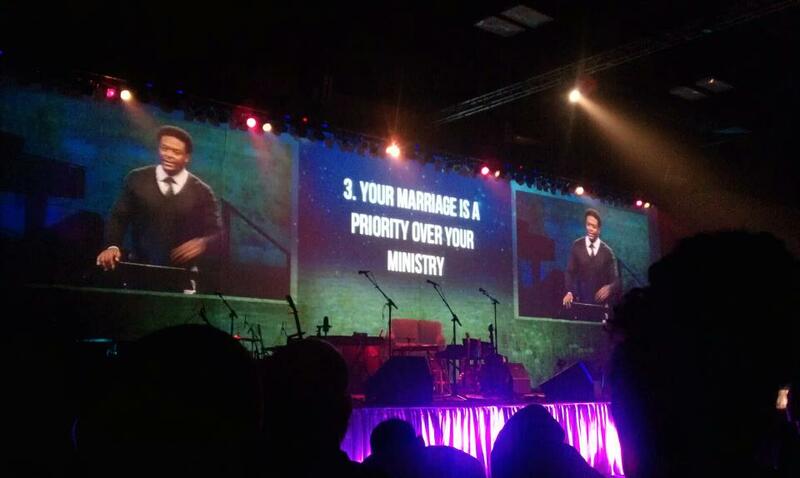 Your marriage is a priority over your ministry. I’ve already eluded to it, but let me just say it outright: I can be guilty of focusing more on what I know I’m good at (the skill set of a pastor) than focusing on something I’m filled with doubt about being good at (being a husband and a father). And my wrong prioritization can reflect that. But never more let may it be said of me that ANYTHING eclipsed my love, devotion, passion, dedication, and attention for my wife. Next to my eternal salvation, she is to me the singular greatest gift God has ever given me. 4. Have a high view of people. This one made me think of my Father-in-law. Have you ever been on the highway when some moron goes flying by, weaving in and out of traffic? And you think and/or say, “Geez, that guy is a moron! Look at him weave in and out of traffic! He’s gonna kill somebody! Moron!! !” That’s my typical response when I see moronic behavior on the highway. By contrast, my Father-in-law can see the same driver and simply say, “Well, I hope he gets where’s he’s going safely.” Or if you get a parking spot taken from you by some jerk who slid in before you, you’d think and/or say, “Hey, Jerk! What’s your problem!?! 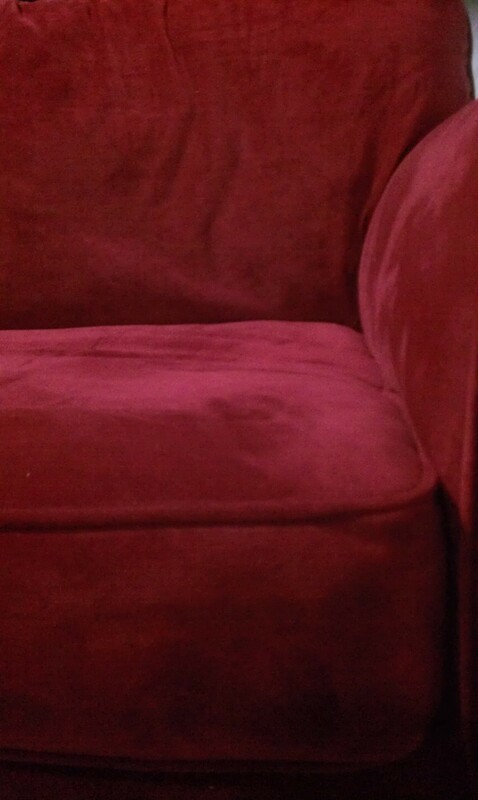 That was MY SPOT!!! Didn’t you see my blinker?? ?” By contrast, I’ve heard my Father-in-law in the same situation say, “I’m going to choose to believe that they didn’t see me here.” And he’d happily find a spot at the back of the lot. This guy is an expert on “having a high view of people”. It’s about valuing people, it really is. 5. Have wise people speak into your life. This one is simple. 6. Be a learner. I don’t care how long I live, I just want to keep learning everyday that I’m on earth. The day I stop having a learning attitude, is the day I pray I breathe my last because I’ve stopped living anyway. 7. Keep short accounts. This one is all about forgiveness. Do it quickly and do it fully. And YOU’RE the one who benefits most from it. 8. Exercise, eat healthy, and rest. Another straight-forward one that most people will completely ignore. After Derwin spoke, there was a time of prayer and as youth pastors and leaders, we’re usually the ones praying for and over young people. But it was a refreshing and poignant scene to see youth leaders being prayed for and prayed over. Powerful stuff. The night wrapped up with a great concert by Jeremy Camp. I bet you know you some of his songs, even if you don’t know its Jeremy Camp. All in all, I’d say it was a pretty spectacular day. But as great as it was, I can guarantee you tomorrow will be better, if for no other reason than tomorrow is the day I get to see my wife and kids again. Really glad you got to go, Jer. And I’d be willing to bet your teens are going to be as well…eventually! Love ya!